Weather Decision Technologies, Inc. (WDT) announced today during the marcus evans Energy and Utilities Conference, the launch of a suite of services specifically designed to meet the needs of domestic and global energy companies and commodity traders/hedgers. WDT is leveraging its global product and service offerings to create high quality weather decision support services customized for users in this sector. As a measure to further establish WDT as the marketplace leader, the company has employed a dedicated team of veteran meteorologists specifically assigned to execute the most comprehensive energy sector offering available. In addition, the company recently opened a regional office in Houston, Texas to ensure a close working relationship with the large hub of energy companies locally. 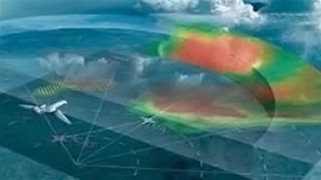 Our senior team of meteorologists understands the complex needs of energy sector companies. With WDT's expertise, and deep global data and technology lead we add greater focus, attention, and depth to the segment, said Mike Eilts, President and CEO of WDT. We're gaining strong traction in this arena and have established a world-class practice; delivering business-critical solutions to onshore and offshore clients globally. An announcement reception entitled WDT Weather Connection was hosted December 3rd, The Doubletree Greenway Plaza. Representatives of corporations in attendance were encouraged to join WDT forecasters and management to learn more about energy-specific products. To find relevant marcus evans conferences and summits use the "Event Search Tool" on the marcus evans hompage (www.marcusevans.com) and narrow your search by Industry Sector, Location, Profession and Event Type.